Souvenirs and gifts inexpensively. Payment of souvenirs and gifts in the online shop Golden Grail. Pay for purchases is as easy and convenient in our store as choosing souvenirs! Your order will be automatically sent to the delivery service after confirmation of payment information. Here you can find out more about how to receive orders. One of the priorities of our store is to ensure the security of storage and transfer of personal data. The application forms are encrypted using SSL technology, plastic cards are paid using the Uniteller processing center, the security of which is confirmed by international certificates. Here you can learn about the security measures when making online payments in more detail. Here you can see the guarantees provided to our customers. 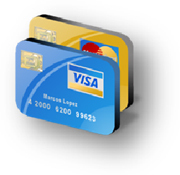 Payment by bank card of orders made on our website is made through the electronic processing center Uniteller. The data transfer allows to ensure the confidentiality of payments carried out by the Uniteller system using the encryption technology of the SSL and to secure the personal data of the clients entered on the payment page of the server. The customer is redirected to the protected page of the processing center automatically when selecting a bank card as a method of making a payment immediately after the order is confirmed. You can pay for your purchases using Western Union, Blizko and Contact money transfers, Golden Crown. To do this, you need to write to us at the address: export@goldengrail.com and get the details for payment processing in the reply letter. One of the possible ways to pay for products purchased in our online store is the Yandex Money service. One of the most famous in the RuNet electronic payment systems allows you to pay for purchases with electronic money, cash or a bank card. To use the Yandex Money service, you need to deposit funds into your account in one of the possible ways, after which the service will independently write-off, check and enroll the payment. An electronic receipt for payment will be sent to the client's wallet upon completion of the procedure. Debit payment system PayPal provides an opportunity to secure the perfect transaction to the buyer and seller. Payment made with the help of the system is credited to the account of the seller only after the customer confirms the delivery of the purchase or the expiry of the term set aside for the buyer's opening of the dispute. The buyer has the opportunity to open a dispute in case the delivery of the goods is not carried out or the product received is significantly different from the one ordered within 180 days from the date of payment. If in the event of 20 calendar days the buyer and the seller did not reach an agreement, one of the parties may issue a valid claim. The amount of the order, together with the cost of shipping, is fully refunded in case the PayPal system makes a decision in favor of the buyer.